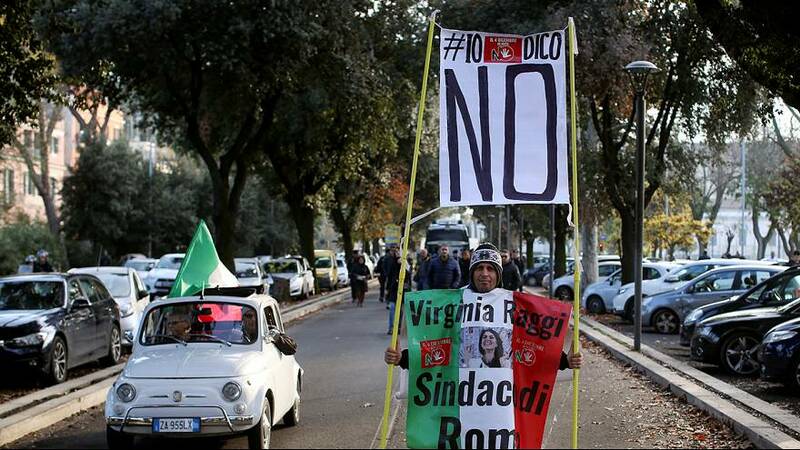 Italy will hold a referendum on constitutional reforms on Sunday (December 4) which would limit the power of the upper house and make it easier for governments to pass legislation. Prime Minister Matteo Renzi, who proposed the measures, says they would strengthen and stabilise the government. But the leader of Italy’s anti-immigration Northern League Matteo Salvini is campaigning for a no vote as a way of getting rid of Renzi. “Brexit, Trump and ‘No’. That would be…. Brexit, Trump, ‘No’ and we can even add [Norbert] Hofer in Austria as they’re having presidential elections on Sunday, those would be the four big slaps in the face to strong powers, and four very good warnings from the people,” Salvini said. Italy’s foreign minister Paolo Gentiloni said the constitutional changes were important. Renzi had said if his reforms are rejected, he would resign. New elections, if held, could bring power to the anti-establishment Five Star Movement. It has said it wants to hold a vote on membership of the euro currency union.